A roaring fire and a full head of steam, the old traction engine is ready for work. 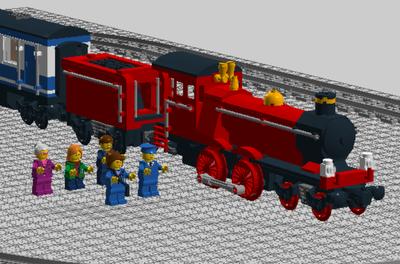 Recreate classic scenes from a bygone age with this detailed Lego model. The farmers are working in the field with their traction engine, affectionately known as "The Old Workhorse." 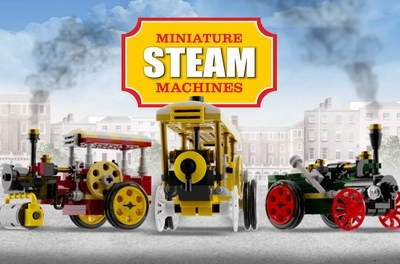 The set includes a highly detailed, mini fig scale model of a steam powered traction engine, as well as a wagon, minifigures and several accessories and mini builds that can be carried in the wagon. In total 480 pieces are included. 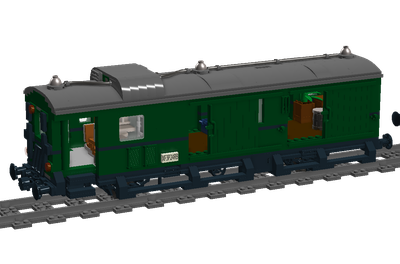 Highly detailed and authentic model in classic green and red livery with polished brasswork. A system of cogs ensures that the flywheel spins as the traction engine is pushed along. Detailed cab interior complete with steering wheel and controls. The firebox door can be opened and closed to reveal the roaring fire inside (see pics). The front wheel axle can be turned left and right. The wagon can be connected and towed behind the traction engine. Plenty of space inside to carry the logs, bushes and rocks. The sides of the wagon can be opened up to provide easy access. Space at the front to hold tools and mini fig accessories. 2 minifigures are included along with a dog and a rat. Brick built logs, tree stumps and rocks. 3 bushes/shrubs that can be carried inside the wagon. 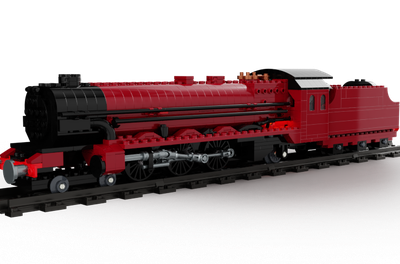 I believe this would make a great official Lego set as it has plenty of play features and would also make a beautiful display model for both children and adult collectors alike. 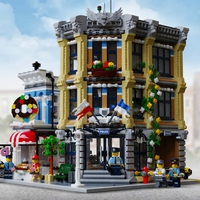 It would also make a great additon to any minifig scale city or layout display. Thank you very much for reading and if you like what you see, please help "The Old Workhorse" to gather steam by supporting this project.